1888:A Jack the Ripper Novel is available to buy now from Amazon! When I first started writing 1888, the character of Toby Baxter was only going to appear in the first handful of chapters and then reappear, briefly towards the end. His purpose was very straightforward. Of the three mashers, he was to be the comic relief; a nice, slightly dim, naive foil for the two other men to gently roast. What you can never really predict when you begin to write, is just how much affection you can develop for such minor characters. I rather quickly decided that Toby was essential. The dining club events with Edward and Duffy would have proven too labourious to endure had there not been a more sympathetic character. I needed a character present who not only gave the reader somebody to root for, but someone whose very presence of mild mannered empathy, demonstrated the selfish arrogance of the other two. Before I had started writing anything at all, I had plotted out the story arcs of every single character. Some of these were complex, others fairly simplistic. Each tale would be a journey through conflicts to a point of either triumph or downfall (and sometimes a little of both.) Toby's story was supposed to happen mainly offstage and originally concluded with him reappearing with a wife and moving to the country. Instead, Toby was fleshed out and brought to the forefront and quickly became the fictional character of the novel of whom I am most proud of creating. Toby Baxter is a young man, no older than twenty and "almost completely spherical," as I unkindly described him in my character notes. His size is seen as a joke to his friends and even his father, but it was only a couple of decades earlier that things would have been very different for him. In an age of both dire poverty and conspicuous over consumption, to have a large belly was a marker of class - a fat man had money enough to be a glutton and clearly did not have to toil for work. To be large was to command respect. 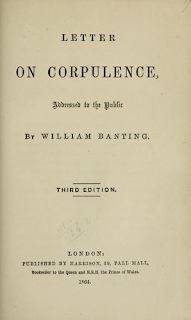 This all changed in 1863 when William Banting, a food pioneer with the unlikely side job of undertaker, published what may have been the world's first diet book. Banting, who was formerly an obese man had lost a huge amount of weight by limiting his intake of beer, sugar and potatoes and increasing his meat consumption. While he may not have known this at the time, Banting was essentially asking his readers to cut carbohydrates from their diets - an idea that would be retooled many times over the following decades to eventually become The Atkins Diet. Banting admonished his readers for their slovenly ways and argued that obesity was not just a strain on health, but a vulgarity to be avoided at all costs. The book was wildly successful and was reprinted several times. 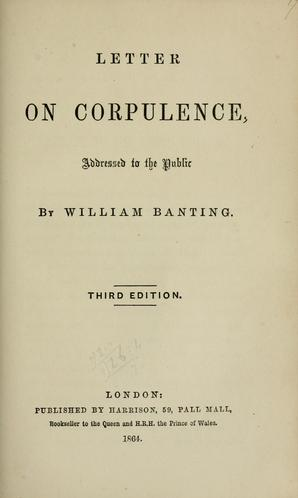 Toby Baxter never once addresses Banting's book, "Letter on Corpulence, Addressed to the Public" but his change in dietary habits completely mirrors the advice laid out therein - indeed, this is why later on in the book, when he does return to drinking beer, it has a rather unexpectedly powerful effect on him. The other inspiration for Toby's diet was that of James Salisbury, an American physician, who earlier in 1888 had published a book arguing that a high meat diet was to be desired, and perhaps most pertinently, that one should stop eating once they were no longer hungry. Toby's weight loss is dramatic over the course of the three months in which my book is set, which is also helped by another Victorian fad which was sweeping London - walking. 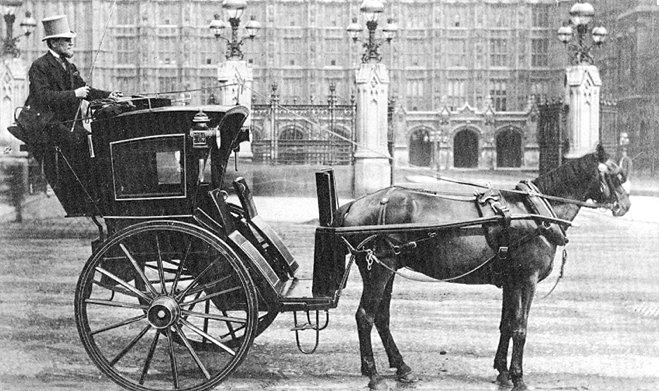 The introduction of the underground train made commuting even faster and in doing so, meant that very few Londoners had much need to travel on foot anymore. With every trend comes a counter-trend and towards the late Victorian era, many diet books were extolling the health-giving benefits of a brisk walk, something which Toby unexpectedly finds he adores. By the end of 1888, Toby is a changed man, in more ways than just his weight loss. I shall not go any further, as his surprise confession is quite possibly my favourite passage in the whole book. For me he is a testament not just to all of our ability to change, but that the simple act of kindness to others in a cruel and unforgiving world, is in its own way, an act of bravery.